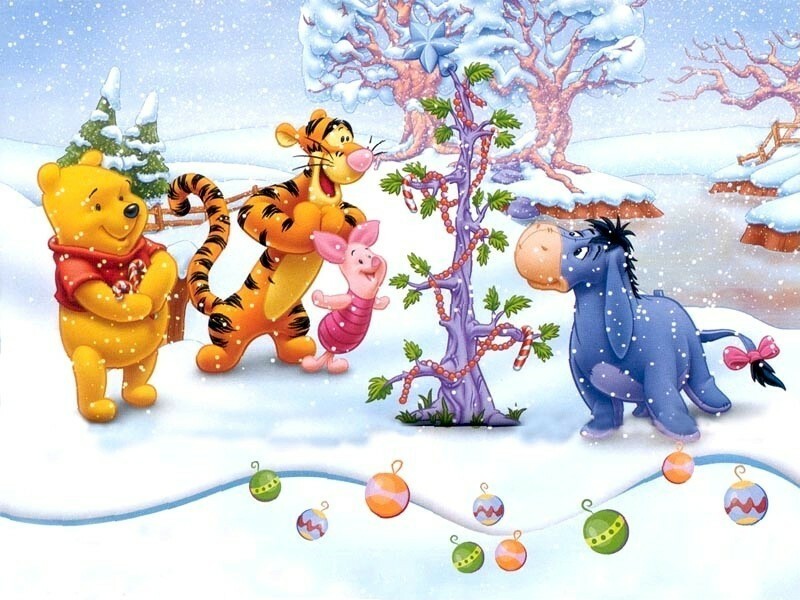 Winnie the Pooh navidad. . HD Wallpaper and background images in the navidad club tagged: disney wallpaper christmas wallpaper winnie the pooh merry christmas winter scene. Santa's checking his list..Have tu been Naughty o Nice ?